Since retiring from the bench and joining ARC, Judge Penkower has successfully mediated more than 500 matters. He has earned a reputation as go-to mediator in complicated legal, factual and highly contentious disputes. Some of his high-profile cases have included the apportionment of a seven-figure settlement among 34 victims of sexual abuse against the Catholic Diocese of Pittsburgh, and a salmonella outbreak in Western Pennsylvania involving more than 100 claimants against a multistate convenience store chain. Bad faith, business/commercial, catastrophic injuries, class actions, complex litigation, construction defects, employment, food-borne illness, insurance coverage, intellectual property, land use, medical and other professional malpractice, product liability, qui tam litigation, real estate, toxic torts, wrongful death. Judge Penkower is regarded as a fair and patient neutral, equipped with an excellent understanding of the law and outstanding communication and analytical skills, and empathy with all parties. He is admired for his willingness to tackle the most complex matters, and his tenacity and creativity in bringing disputes to a successful resolution. He honed his conflict resolution skills during his three-decade judicial career in Pittsburgh, PA. He incorporated both facilitative and evaluative techniques in his settlement efforts, resulting in a high rate of success. 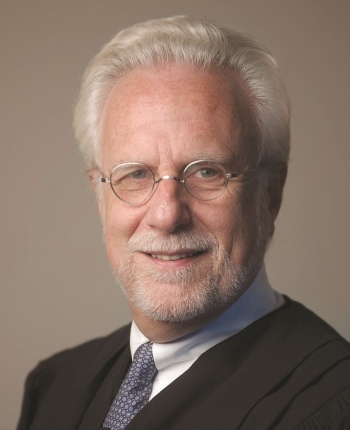 In his last 16 years on the bench, he served in the civil division of Pennsylvania's Court of Common Pleas, the equivalent of California Superior Court. He presided over 800 jury and non-jury trials spanning the entire range of civil litigation, and conducted more than 4,000 settlement conferences. In addition to serving on the Panel of Neutral Arbitrators for the Kaiser Permanente Arbitration System, Judge Penkower has frequently been selected as a neutral arbitrator in complex and high-value commercial matters. He also periodically serves as an appointed Special Master in discovery matters and class action matters in both federal and state court proceedings. For the past 18 months he has been engaged as a Special Discovery Master in a combined federal/state litigation which has generated over 30 Reports and Recommendations to the courts. Judge Penkower is available in California, Pennsylvania, and nationally.